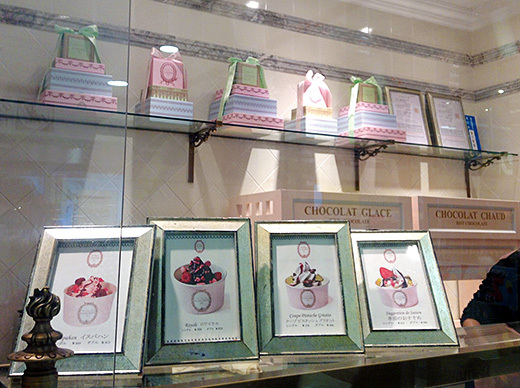 A friend of mine and I dropped in La Maison ensoleille table to have a cup of tea or coffee, but we could not resist their cute tarts. 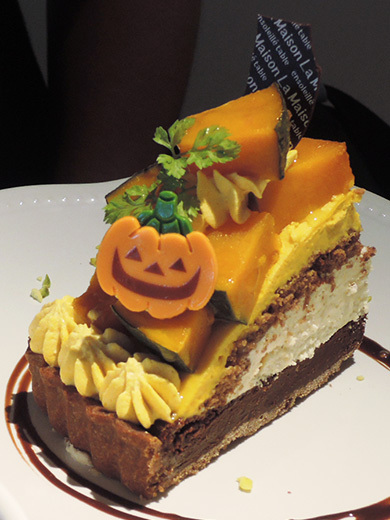 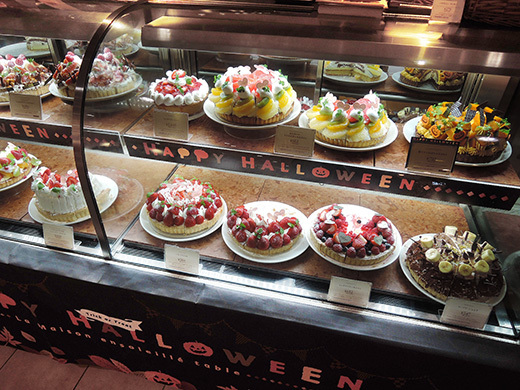 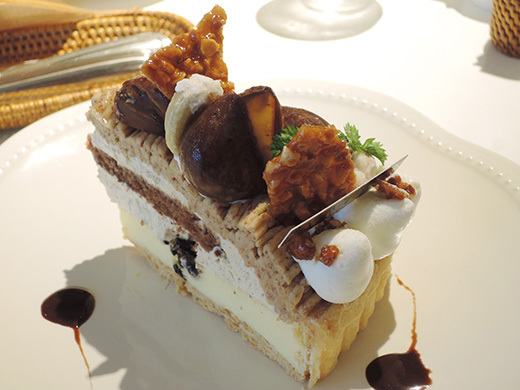 Both of us ordered autumn special menu, Waguri Mont Blanc Tart and Kuri-Marron Pumpkin Tart. 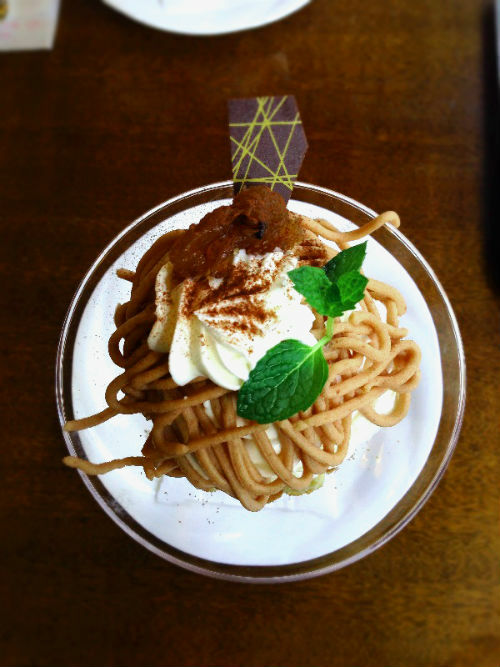 We had a good tea time at the cafe. 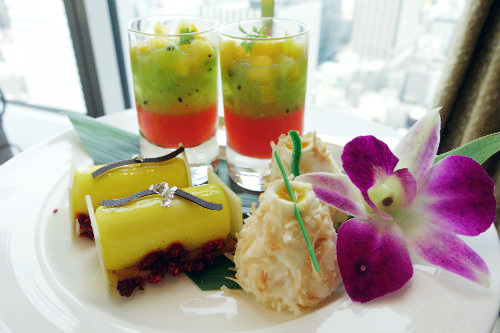 My friend and I had the Tropical Afternoon Tea at Shangri La hotel Tokyo. 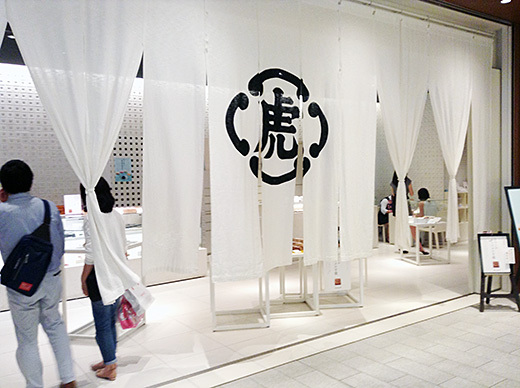 The special limited time offer was available from 18 Aug through 15 Sep 2014. 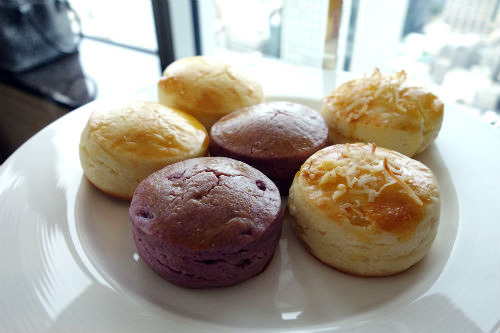 We really enjoyed their scones flavored with hibiscus, pineapple and coconut, Kiwi Jelly, Coconut and Mango Mousse and Pineapple Tarts with five kinds of Tropical Tea by TWG, a high-quality tea brand based in Singapore. 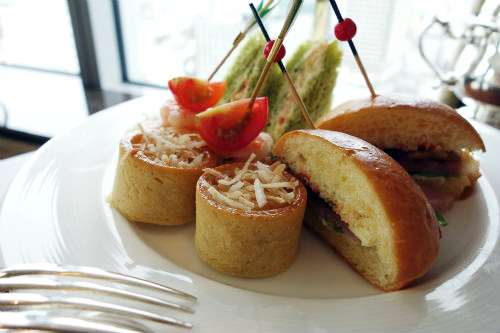 We had a good conversation with fancy tropical sweets and tea at the luxury lobby lounge. 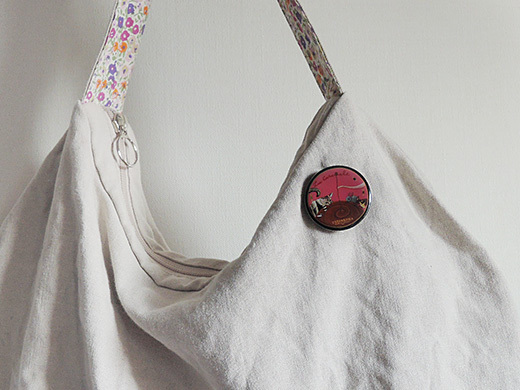 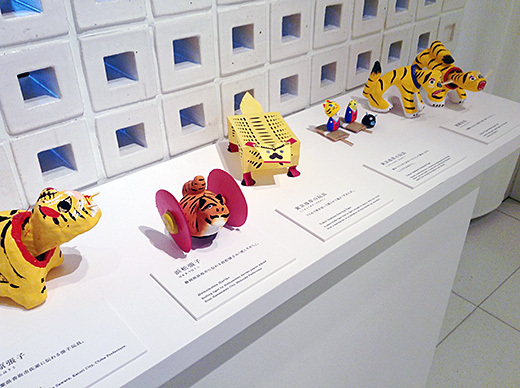 Cute caramel lover animals were painted by an artist Kumiko Higami. 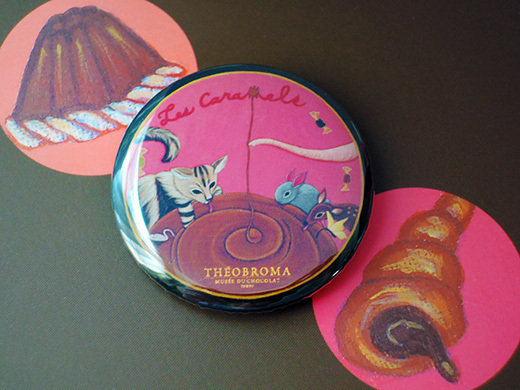 It’s smaller but as same design as THEOBROMA’s various caramel assortments canister. 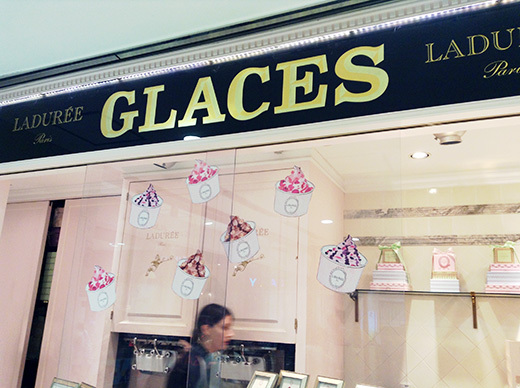 Laduree Glaces is Laduree’s ice cream shop next to Shinjuku station. 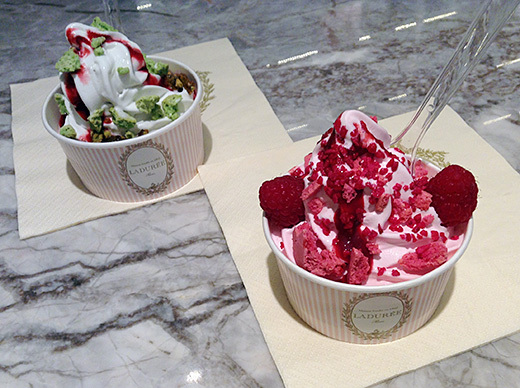 There’s some recommend flavors with toppings, we chose “Ispahan” (Rose, Lychee, raspberry) and Coupe pistache Griotte (Yogurt, pistachio, dark cherry). 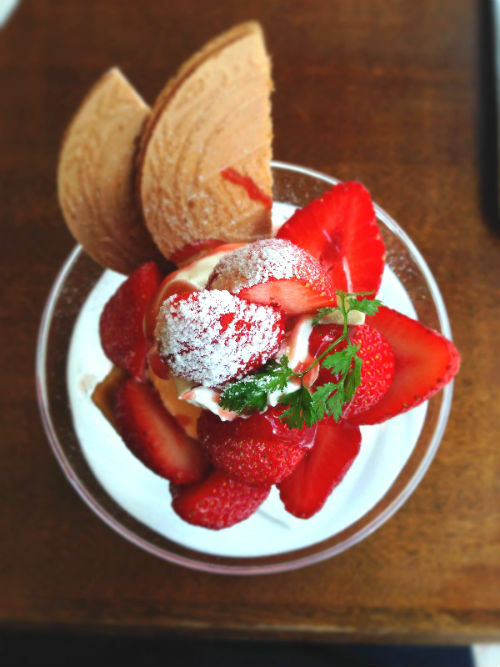 Both of these were taste like heaven. 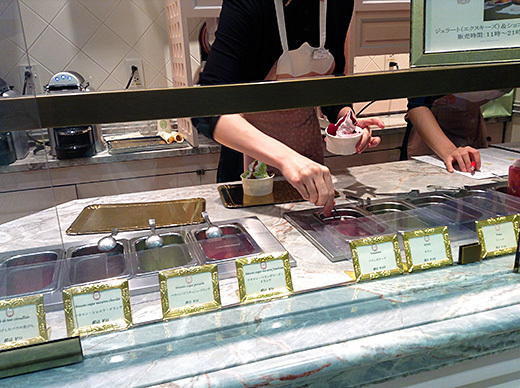 If you’d like to eat-in, you can use the tables in Laduree Boutique next to this ice cream bar. 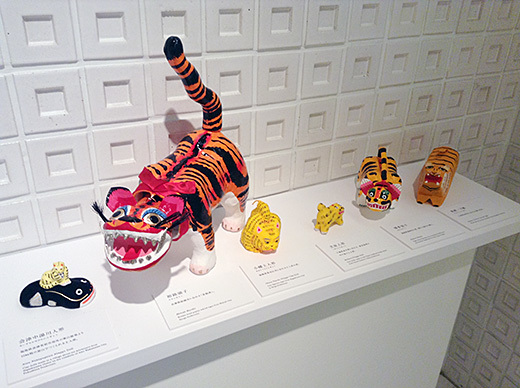 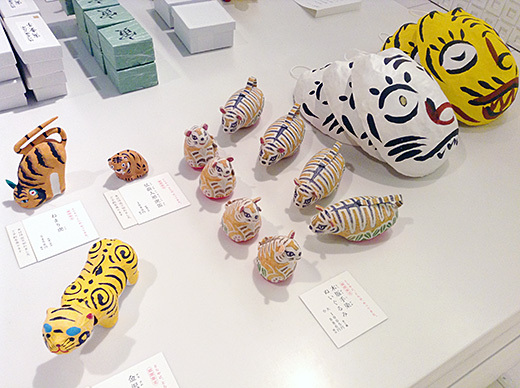 Many cute tora (means tiger) folk toys and arts are coming to Toraya at Tokyo Midtown. 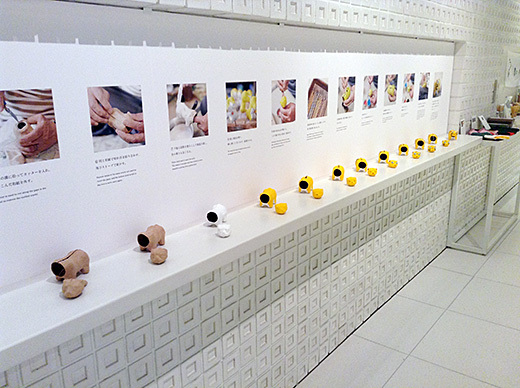 Half of the shop was becoming as small pop-up museum. 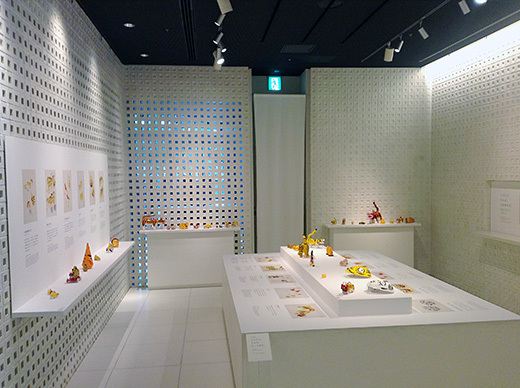 These toys were came from all over Japan. 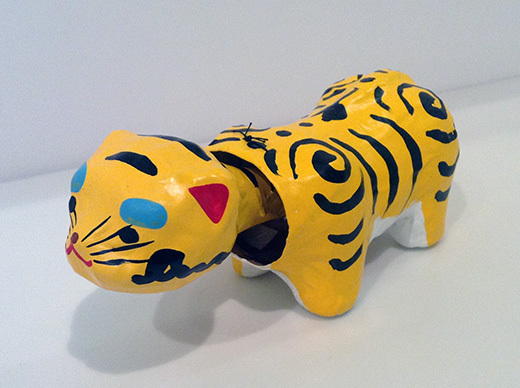 You can see how-to-make paper bobbing head tiger at there. 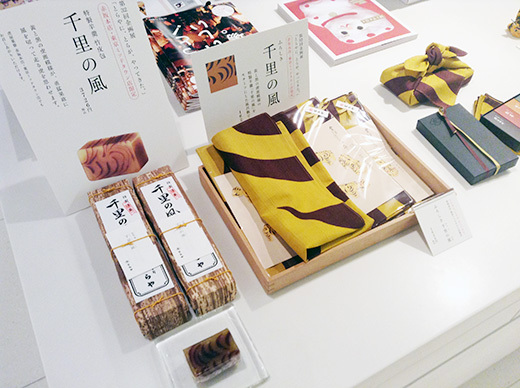 And you can buy some of tigers and special limited tora-motif sweets and furoshiki (multi-using fabric). 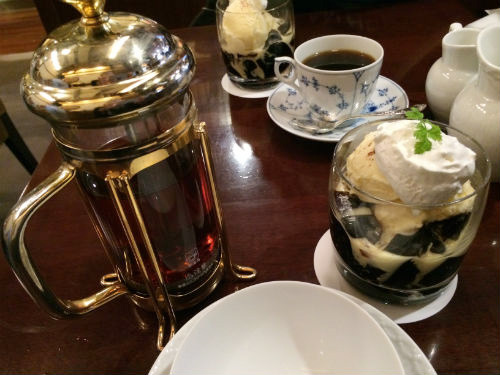 My friend and I had a break at Tsubakiya coffee in Ginza. 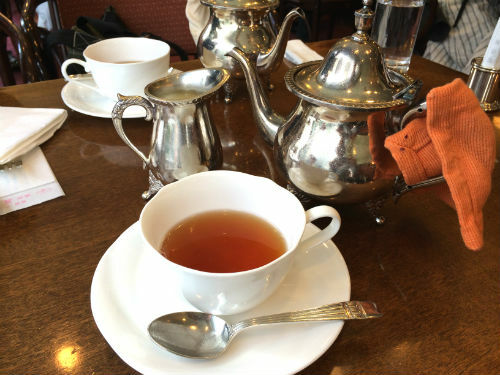 We had their special siphoned coffee made by the coffee master and their original blended tea. 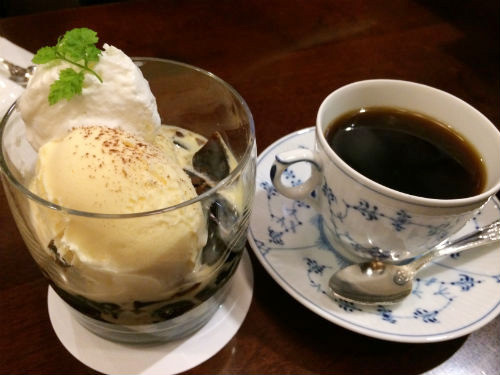 Also, we enjoyed coffee jelly with fresh cream and ice cream on top. 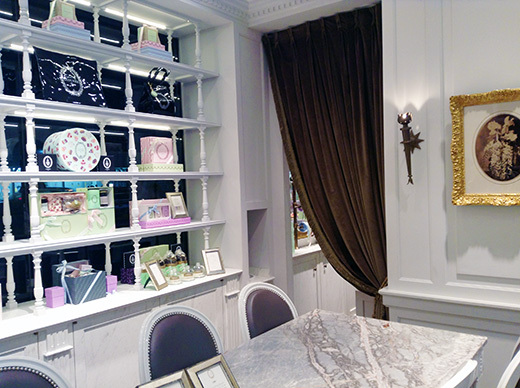 We had a relaxed time at a tasteful room. 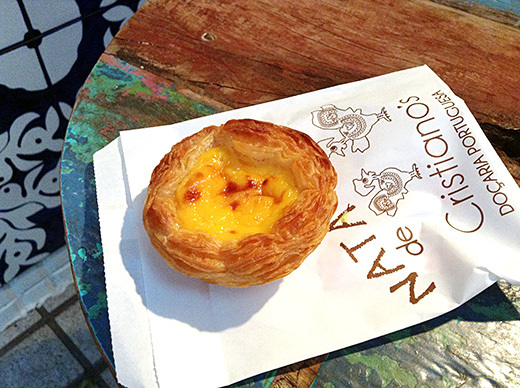 Nata de Cristiano’s is a specialty store for Portuguese sweets, pies and tarts. 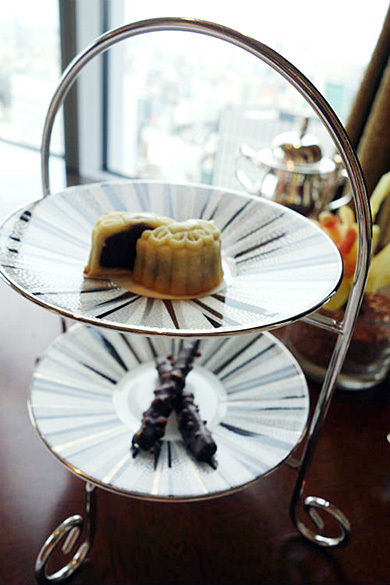 I got an egg tart and ate it at their small table. 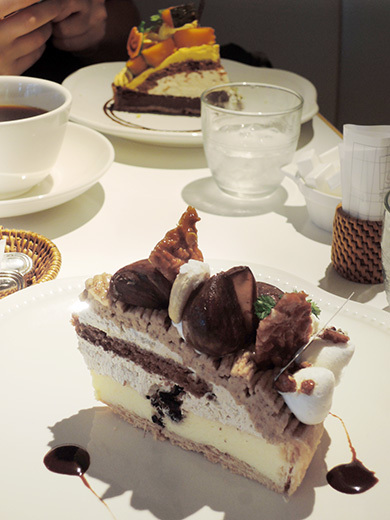 The tart shell was crunchy and egg cream melted very smooth in my mouth. 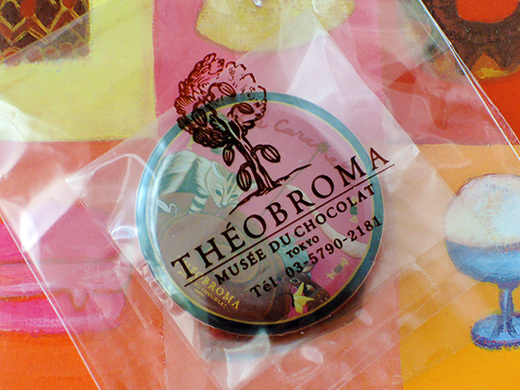 I was charmed by this sweets instantly. 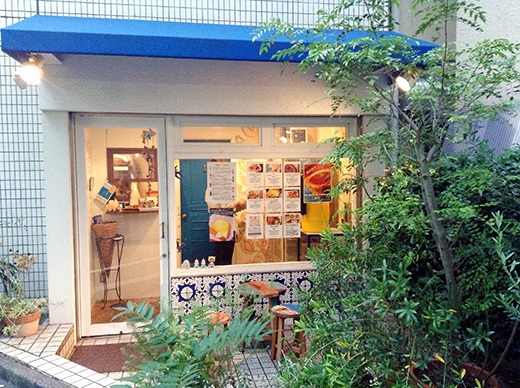 I’ll be back here and get more, very soon. 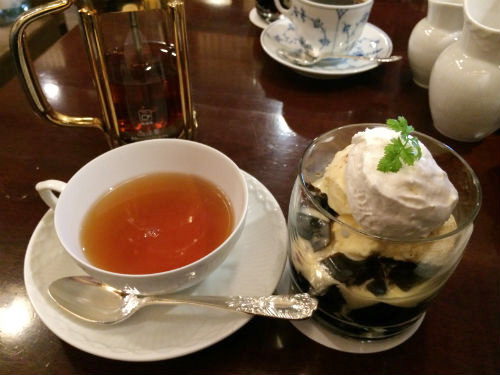 My friend and I had a tea break at Tokyo Fugetsudo Ginza. 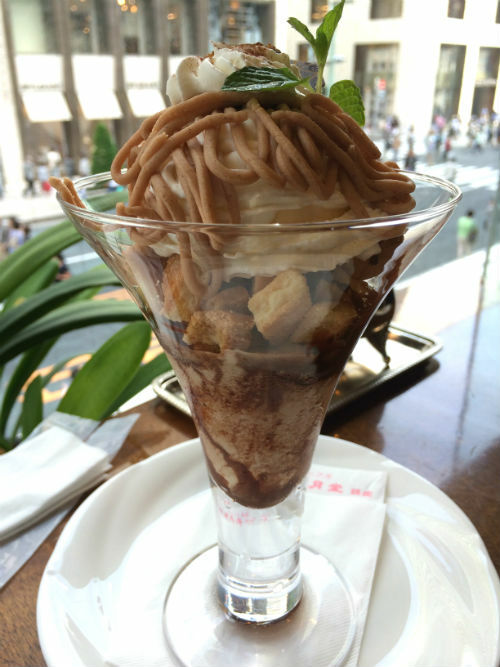 And, we had to had a parfait when we found the fancy pictures from the menu. 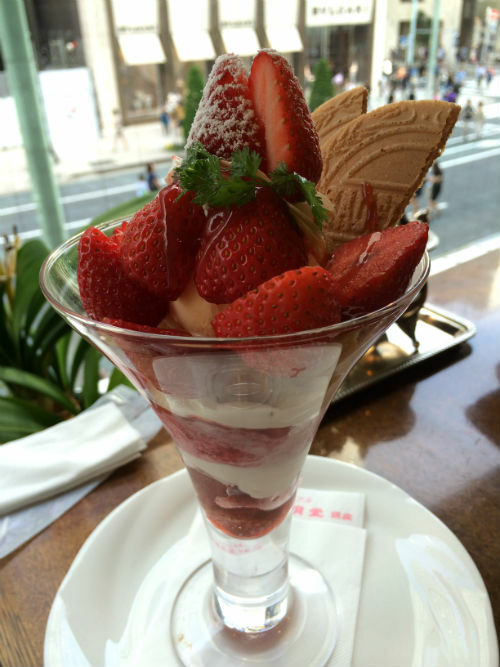 We chose a special strawberry parfait and a marron parfait. 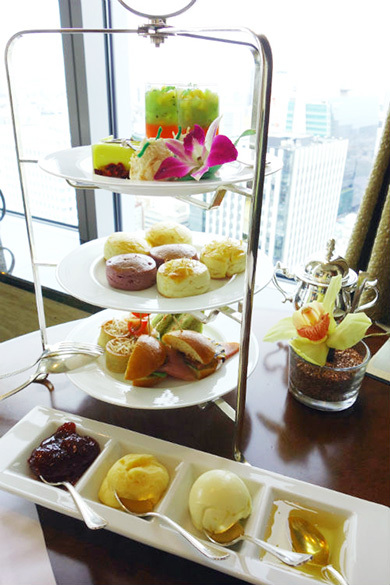 We had very fun tea time.